“SPCD – SPATIAL COLOR DISTRIBUTION DESCRIPTOR – A Fuzzy Rule based Composite Descriptor Appropriate for Hand Drawn Color Sketches Retrieval” received the best paper award at the 2nd International Conference on Agents and Artificial Intelligence (ICAART), Valencia-Spain, January 22-24, 2010. This entry was posted in General and tagged cbir, Conference, paper, Science on January 28, 2010 by Mathias Lux. 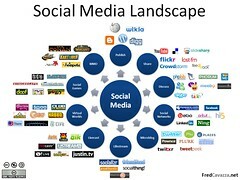 With the advent of the Social Web, a new breed of web applications has enriched the social dimension of the web. On the social web, actors can be understood as social agents – technological or human entities – that collaborate, pursue goals, are autonomous, and are capable of exhibiting flexible problem solving and social behavior. By participating in the social web, both technological and human agents leave complex traces of social interactions and their motivations behind, which can be studied, analyzed and utilized for a range of different purposes. The broad availability and open accessibility of these traces in social web corpora, such as in del.icio.us, Wikipedia, weblogs and others, provides researchers with opportunities for, for example, novel knowledge acquisition techniques and strategies, as well as large scale, empirically coupled in the field studies of social processes and structures. This entry was posted in General and tagged CfP, Conference, Science, Workshop on April 17, 2008 by Mathias Lux.